7 - 10 p.m. at Wayfarers, 1109 Dekalb Ave. Transfer Queen is a collection of drawings and poems about men on the New York subway. The exhibition showcases drawings by Barth and poems by Strouse– with copies of the book available and a poetry reading on opening night! Join the exploration of ancient wisdom and practices to expand the sacred intelligence on an individual and collective level. We will gather around the essence of Cacao to connect us with the purpose behind each day. 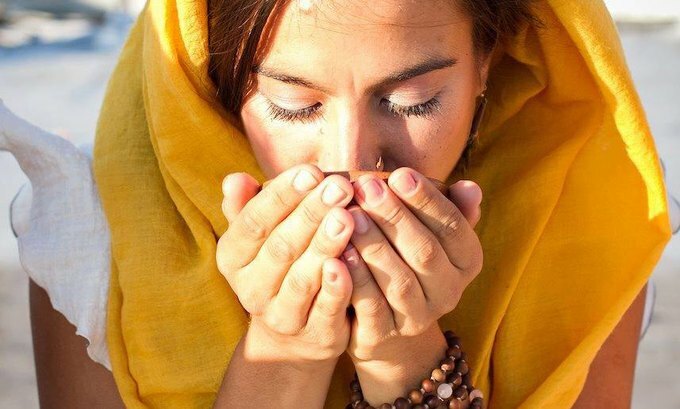 Tapping into the elements of nature, using pranayama practice and sound meditation to dwell into this human experience from a deeper connection to the self. End your day with a practice that allows you to align your actions with your purpose in the here and now. 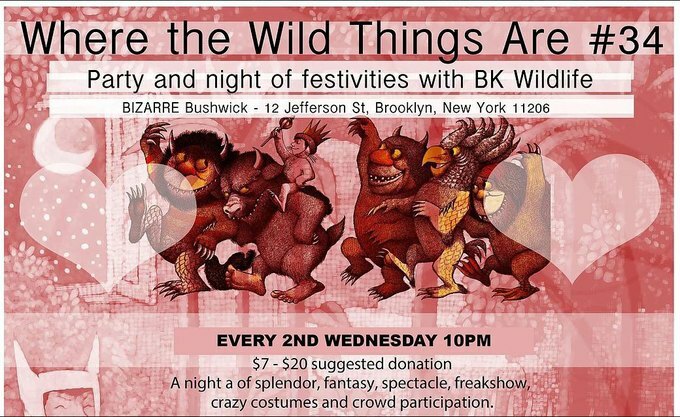 10 p.m.- late at BIZARRE Bushwick, 12 Jefferson St.
A night of splendor, fantasy, spectacle, freakshow, crazy costumes and crowd participation. 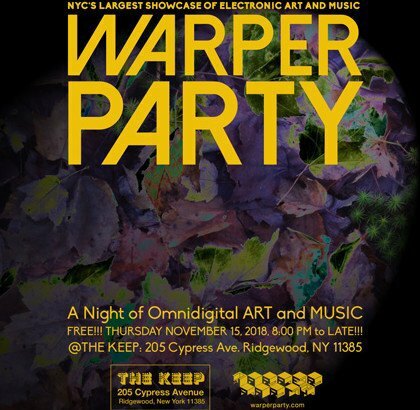 NYC’S largest showcase of live electronic art and music. Omnidigital art and music. Performances by RIVA, melton, Clint Flick, Wet Star, Kristina SupergGenius, Denada, Blak Blondz, Ghost Stories, Permian Strata, VJ DoctorMojo, and n8tronick. 8 p.m. - 12 a.m. at Sunnyvale, 1031 Grand St.
For this show, all ticket sales are to benefit Pickthorn. Pickthorn Salon was severely affected by a fire in the building and is now totally unusable. 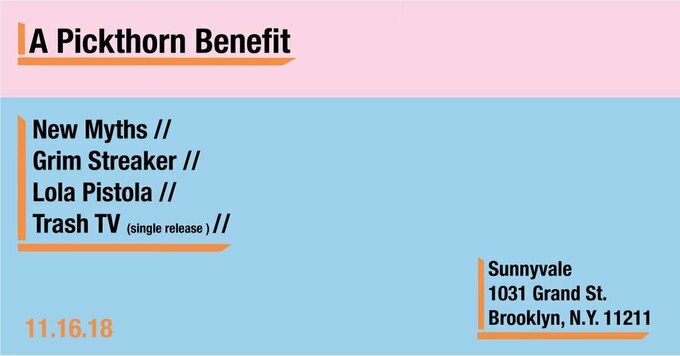 Bushwick Daily has long been friends and fans of the work that Chelsey and Jocelyn do in this community and we hope you go check out the show and support the people who have supported Bushwick music for years! For everyone who has ever been a part of Color Me Bushwick, you all know how supportive these ladies are of the music community here.